Tourism Authority of Thailand and Compass Point jointly organised Welcome To Thailand The Land of Smiles inline with Thailand Happiness Street Festival 2014 in Bangkok this weekend at Ratchaprasong areas - CentralWorld Square, Parc Paragon and The Platinum fashion mall. Supported by Thai Airways International, Bangkok Airways and Air Asia, book your Thailand holiday packages at attractive prices with the authorised Thailand holiday tour agents at Compass Point Main Atrium and you might just walk away with free air tickets Bangkok, Phuket, Krabi or Koh Samui, enjoy Blue Elephant restaurant set lunch, watch Muay Thai Live" stage show , explore Bangkok with one-day unlimited travel BTS pass or souvenirs like foldable bags, luggage tags, travel adaptors and thumb drives. 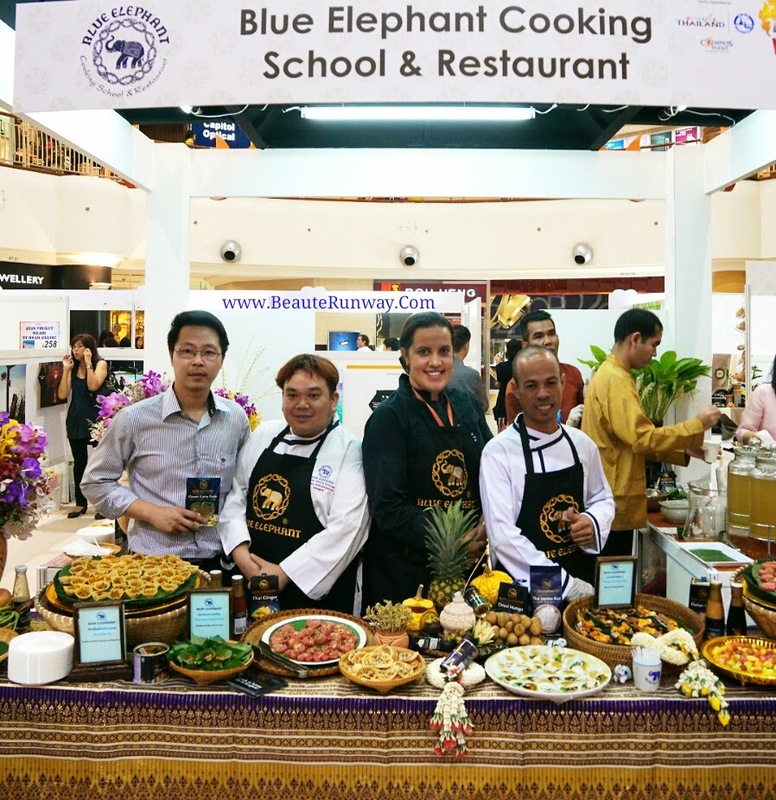 Pick up Thai cooking tips by world renowned Blue Elephant restaurant head chefs who have flown in to Singapore especially to share with visitors the art of cooking authentic Thai cuisine. Watch "Thailand Got Talent" perform the traditional Thai cultural dance, learn to make Thai Handicrafts at the workshops or shop for Thai jewellery, spa and body products and local Thai snacks. Visit Welcome to Thailand Travel Fair 2014, soak in Thailand cultural and local activities with 10 package prizes to be won daily sponsored by Aonang Cliff Beach Resort, Aonang Princeville Resort & Spa, Crown Lanta Resort & Spa, Krabi La Playa Resort, Sunset Beach Resort, The Small Krabi and See Tho Holidays to Phuket, Krabi or Koh Lanta for 2 persons (no purchases required) at Compass Point, Level 1 Main Atrium, next to SengKang Mrt Station and Bus interchange from July 24 to 28, 10am to 10pm daily. VietJet Singapore and Ho Chi Minh City, Vietnam international flight route on Airbus A320 from Changi International Airport Terminal 3 to Tan Son Nhat International Airport will operate daily (SGN-SIN) to meet business, leisure and student travellers demand from May 23 with expansion plans for twice daily flights in near future. 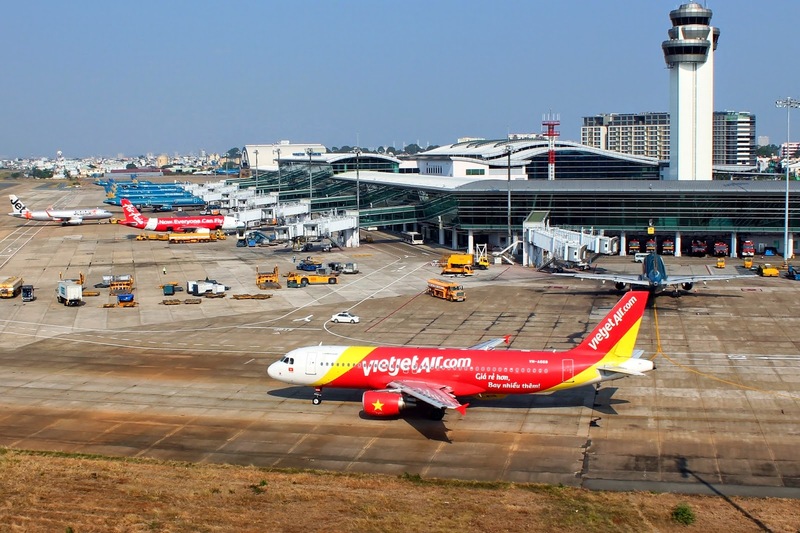 Award winning VietJet budget low cost carrier launched its first International flight routes to Bangkok, Thailand and Singapore, one of the biggest aviation markets in Asia where VietJet sealed the USD6.4 billion, 100 aircraft AirBus buying spree at The Singapore AirShow 2014 is next on its radar. VietJet to Seoul, South Korea, KunMing, China, Taipei, Taiwan and Siem Reap, Cambodia are new international flight routes launching in Asia Pacific and beyond by end of 2014. The addition of seven new Airbus A320 fitted with leather seats expands VietJet modern fleet of eleven aircrafts, operating 24 flight routes with 700 flights per week. As part of Vietjet regional plans, Thai Vietjet, will launch in Thailand with at least two Airbus A320. Similar joint ventures with airline partners will follow swiftly. Travelling around Vietnam is easy as VietJet domestic routes flies extensively to beautiful scenic places of interest like Ha Noi, Hai Phong, Hue, Vinh, Da Nang, Nha Trang, Quy Nhon, Buon Ma Thuot, Da Lat, Phu Quoc, opening new markets and preserving the familiar sights at Ho Chi Minh City, to promote tourism and growth successfully. From Ho Chi Minh City, VietJet VJ8931 flies at 8.50am from Tan Son Nhat International Airport to Singapore Changi International Airport, arriving 1 hour and 50 minutes later and turnaround flight VJ8932 departs at 12.40pm back to Saigon. Travel in style on VietJet Skyboss deluxe service where you enjoy an ultimate flying experience with premium priorities services, free check-in baggage and in flight entertainment via tablet. All passengers onboard could browse its One-2-Fly magazines, order Asian and European cuisine airline meals, or purchase limited edition merchandise and duty free shopping at SkyShop with the friendly in flights service attendants. On VietJet Singapore inaugural flight, be surprised by the onboard flight performances on 23 May 2014, daily promotions and lucky draws where free air tickets, Visa cards worth 1 million Vietnamese Dong awaits till 23 June . VietJet is offering 1,000 lucky customers free round-trip* tickets from Singapore to Ho Chi Minh City! Simply fill up the registration form on VietJet Facebook Page and purchase your tickets between 23 June 2014 and 6 July 2014, while stocks last, and VietJet air ticket will be valid for travel between the two cities until 31 December 2014. Win with VietJet as all passengers on VietJet flights - international routes Singapore, Seoul, Bangkok and domestic routes Ho Chi Minh City, Ha Noi, Hai Phong, Hue, Vinh, Da Nang, Nha Trang, Quy Nhon, Buon Ma Thuot, Da Lat and Phu Quoc will be automatically entered into a draw to win the Toyota Vios E special prize, one Honda SH 125 every month, one set of Samsung Galaxy Core II Duo smartphone and 70 air tickets each week from July 15 to September 15. Winning VietJet passengers simply produce their VietJet boarding passes or e-tickets when collecting the prizes. Visit VietJet’s website http://www.vietjetair.com to view list of prize winners, specified by corresponding flight and seat numbers, will be updated daily. Book your Vietjet cheap airfares offers, discounted tickets or even enjoy free flights (airport taxes and charges applicable) at Vietjet Website: www.vietjetair.com, Mobile: m.vietjetair.com or Facebook: https://www.facebook.com/VietjetSingapore during flash sales and promotional periods for VietJet Singapore to Ho Chi Minh City return flights from as low as S$100. Join VietJet frequent flyer programme for more perks and treats. Shop with VietJet Air as all passengers will enjoy a 30 percent discount on all in-flight purchases from Tuesday, 22 July to Friday, 22 August 2014 and with any purchase from VietJet's in-flight duty free shop will win wonderful VietJet specially designed merchandise like travellers duffle bag, polo t-shirts. VietJet Bear Mascot, cap and more. Fly VietJet Singapore Ho Chi Minh City Vietnam daily airline flights from Changi International Airport Terminal 3 to Tan Son Nhat International Airport and connect to VietJet's extensive domestic routes and new launch routes like Seoul, South Korea, KunMing, China and Siem Reap, Cambodia in 2014. Le Club Accorhotels loyalty membership program for Sofitel, is a winner with travellers at its 2,700 luxury to economy hotels around the world. Classic, Silver, Gold and Platinum members are rewarded with exclusive privileges as Le Club Accorhotels is the only hotel loyalty program that enables guests to use their points anywhere in the world without any date or availability restrictions, earn up to 25% more points per stay, upgrades and lounge access, priority check in and Accord Hotel Super Sale previews with discounts of up to 50 percent. 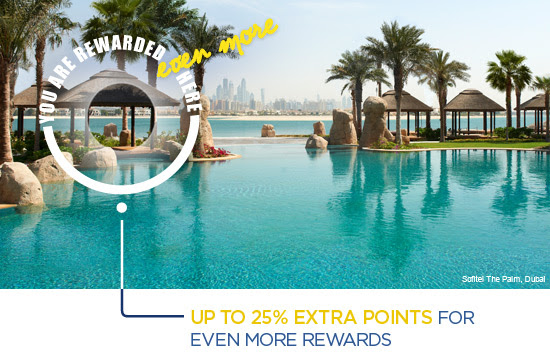 For every €10 spent, Le Club Accorhotels members earn 25 points and qualify for an Accord Hotel Group €40 voucher that they can deduct from their bill at a future stay in one of the group’s hotels or convert into privileges with one of the program’s many partners (airlines, car rental firms, etc.) when 2000points are accumulated. Accor group hotel stay membership enables members to enjoy the best of Accor hotels. With a base of more than 15 million members, it is an achievement as the loyalty program was launched over five years ago. Accorhotels.com is where Le Club Accorhotels members can access exclusive hotel room rates and make online bookings, manage their preferences, view points history and chose their Accorhotels rewards.